I’m mixing it up a bit in today’s intraday charts update since I’ve got a triangle on AUD/NZD and a Fibonacci retracement setup on GBP/NZD on the menu. Get ’em while they’re fresh! 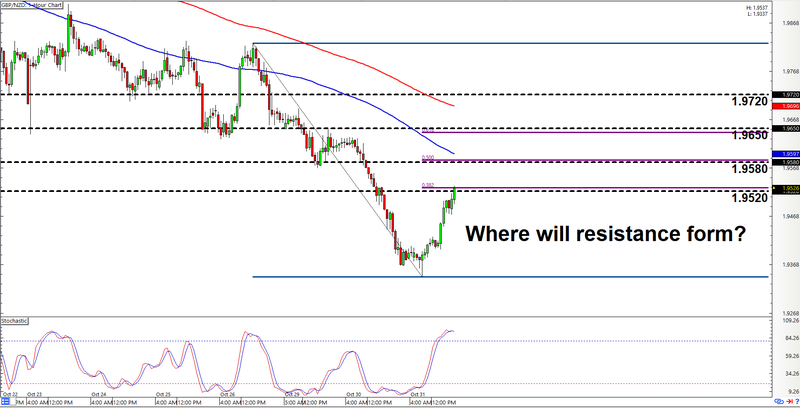 AUD/NZD’s recent price action appears to be tapering into a point. And if we connect the most recent peaks and trough, we can see that a symmetrical triangle appears to have formed. 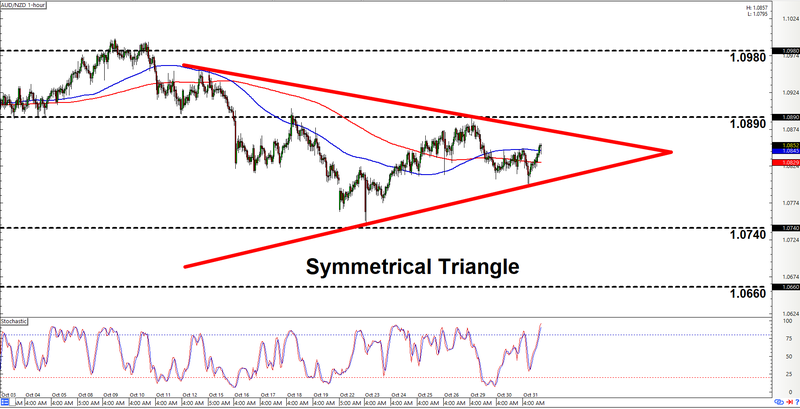 A symmetrical triangle pattern could break in either direction. It would therefore be a prudent move for y’all to prepare for both topside and downside breakout scenarios. As for the price levels to watch, a move higher past 1.0890 would be an early sign that bulls are taking over. However, the pair would still need to clear 1.0980 in order to validate the topside breakout. Meanwhile, a move lower past 1.0740 would be a signal that bears have the upper hand. The pair still needs to move lower past 1.0660, though, ideally on strong bearish momentum. No fancy chart patterns here! As y’all can see, GBP/NZD is currently pulling back after moving sharply lower. And since stochastic is already signaling overbought conditions and all that, and since the downtrend is still intact, today’s play is therefore to look for opportunities to go short on the pair. And if we apply our handy Fibonacci tool, we can see that the pair is already testing the 38.2% retracement level, which happens to line up with the area of interest at 1.9520. However, there’s also a chance that pair may pull back further since the 50% and 61.8% retracement levels also look like valid pullback areas since the former sits right smack on the area of interest at 1.9580 while the latter lines up nicely with the 1.9650 minor psychological level. Of course, there’s also a risk that buying interest may be so strong that the pair easily clears all potential pullback area, so watch out if that happens. The pair would still need to clear 1.9720 in order to signal a trend change, though.